'The water I give will be a spring within you - welling up into infinite life.' 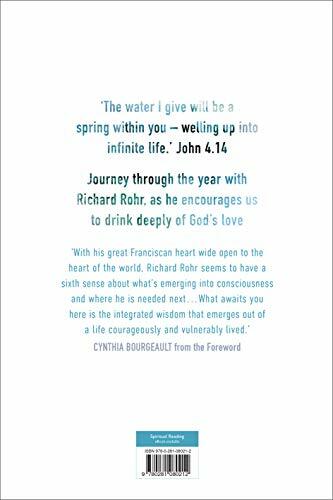 John 4.14 In these daily reflections, Richard Rohr invites us to rediscover the spring hidden inside each one of us. He reminds us of God's indwelling preseence and that we are inherently beloved. Remembering who we truly are is a gradual, lifelong journey: Fr Richard offers insights to ease the process and lead us back to our Source. Although each life moves at its own pace and in different ways, our growth does follow a common sequence - from innocence, through inevitable brokenness, to putting ourselves back together, and, ultimately, to ripening into union with self, God, the world and others. The author explores each stage, drawing from Scripture, Christian mystics, non-dual teachers from various faiths, and wisdom from other fields such as psychology, science, the Enneagram and the Twelve Steps. He is not teaching new concepts so much as framing them in a way that resonates with our intuitive wisdom, the truth that our souls already know. Each week concludes with a unique invitation to contemplative practice. 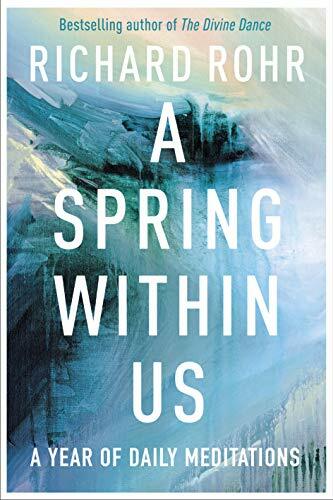 Throughout the book, Fr Richard also calls us to compassionate action: the spiritual journey is not merely for our own transformation, but for the healing of the world.